Hi everyone! Happy friday :) I hope you've all had a good week? I've been looking forward to this weekend after a super busy week. Lot's of 'day job' hours, working on things for Sew and Quilt - some great new stuff arriving at the end of the month ;) as well cracking on with wedding plans! 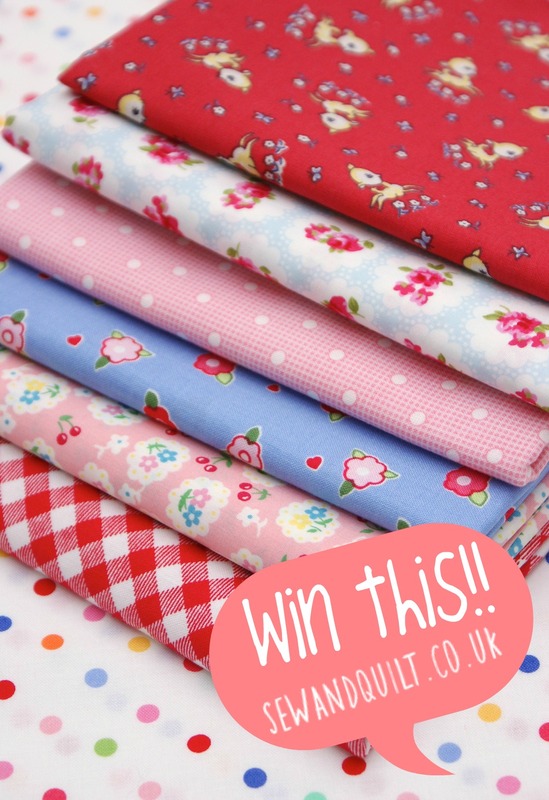 As a nice finish to the week I have this adorable bundle of fat quarters from Sew and Quilt to give away! All you have to do is click here to enter :) Best of luck! We've been having some great weather here too! Some blue skies finally :) and in other news I've got completely obsessed with The Big Bang Theory these last few weeks, so hilarious! Oh and we had an un-inentional date with the priest on Valentines day to discuss the wedding and set a date! :o will most likely be the last weekend in May or first weekend of June 2014. Eek!! 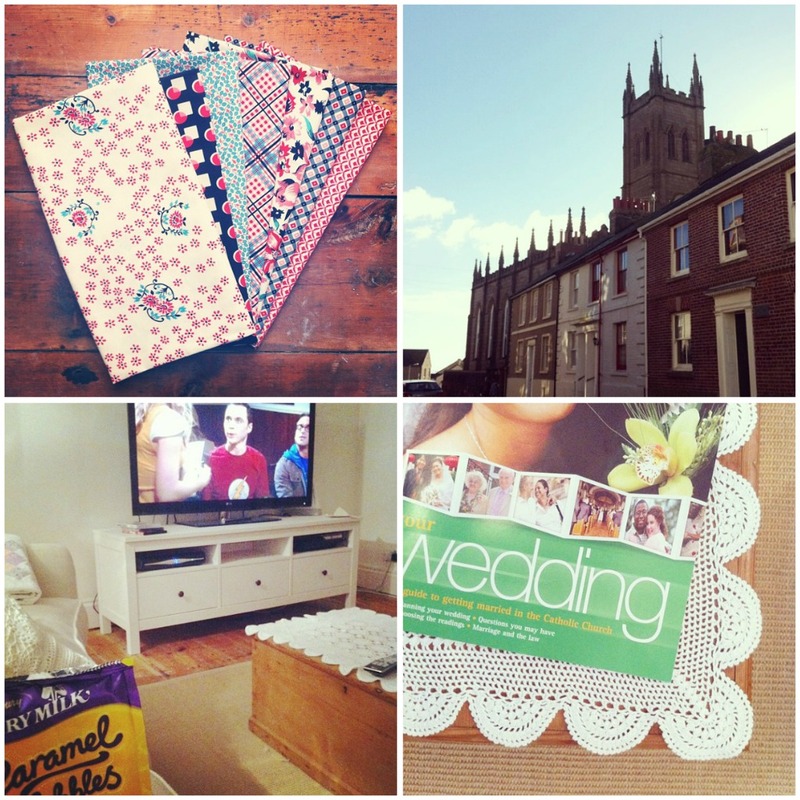 Let the planning commence! Isn't Shelburne Falls beautiful- by far the best DS yet, IMHO! Congrats on the wedding date... it will fly past. Just a note to let you know that the fabric arrived, thank you. Yay for blue skies at last!